Walnut Finish and Brushed Stainless Steel base. 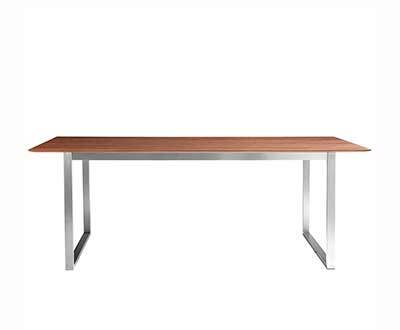 Natural Walnut top, Polished stainless steel finish base. 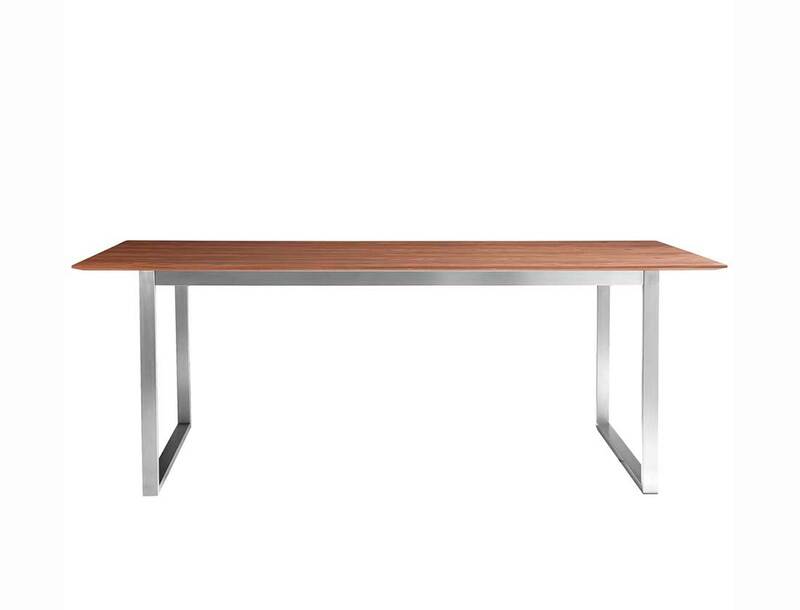 Ideal for a contemporary conference room or dining area.